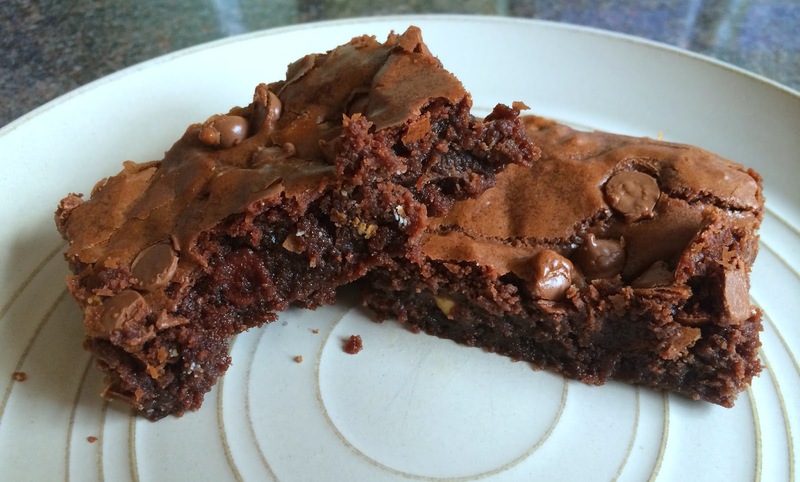 I recently bought a new recipe book and couldn't wait to have a go at making these Double Chocolate Brownies. Step One // Preheat the oven to Gas Mark 4 or 180 C and grease a baking tray. Step Two // Place the butter and chocolate into a saucepan and stir over a low heat until melted. Step Three // Remove from the heat, stir until smooth and leave to cool slightly. Step Four // Stir in the sugar, salt and vanilla extract. Step Five // Add the eggs, one at a time, and stir until blended. Step Six // Sift the flour and cocoa into the mixture and beat until smooth. Step Seven // Stir in the chocolate chips, then pour into the tin. Step Eight // Bake in the preheated over for 35 - 40 minutes, until a cocktail stick comes out clean. Step Nine // Leave to cool slightly and serve. 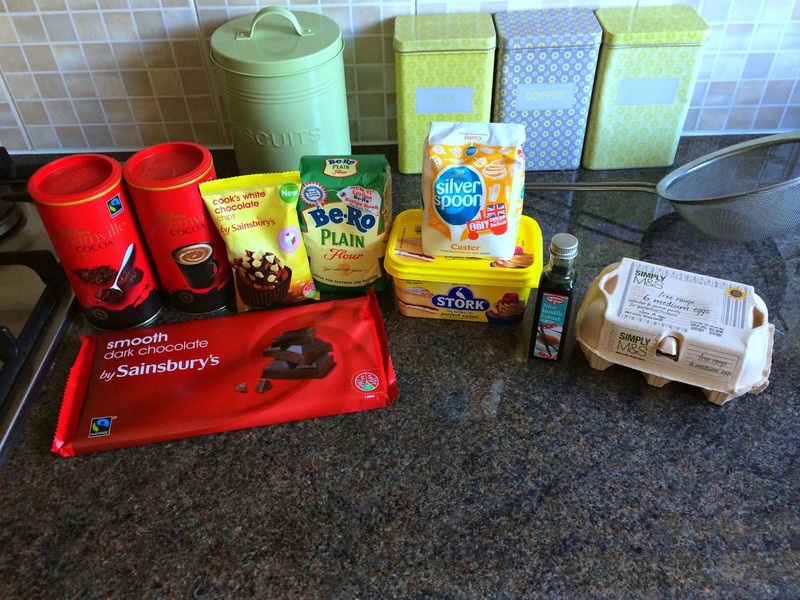 And there you have a simple but delicious recipe for Double Chocolate Brownies.